Ambilight changes the way you look at TV forever. This tv totally blew my mind as it made my home so much more than just a house. The ambilight gives a real warm and inviting feeling to it and the ultra thin and sleek features cooperates perfectly with the interior. 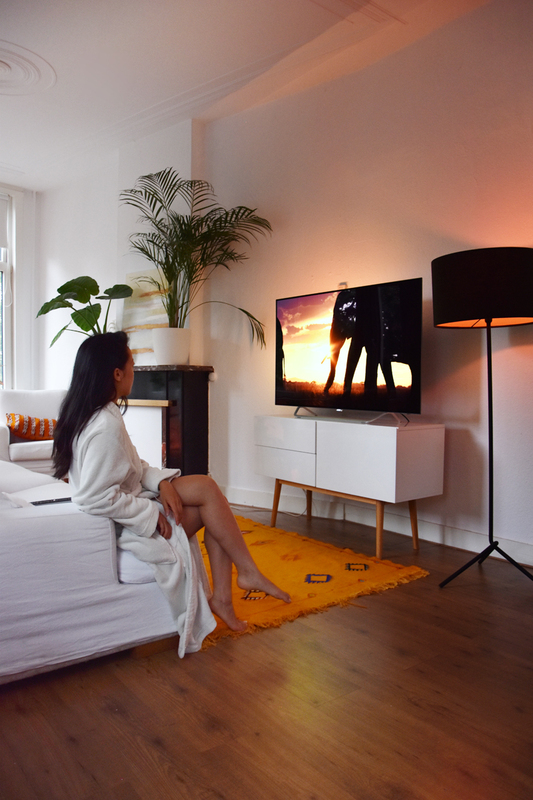 Philips unique Ambilight technology makes the screen much wider—and viewing experience more immersive—by emitting an extra wide glow from three-sides of the TV screen onto the surrounding walls! 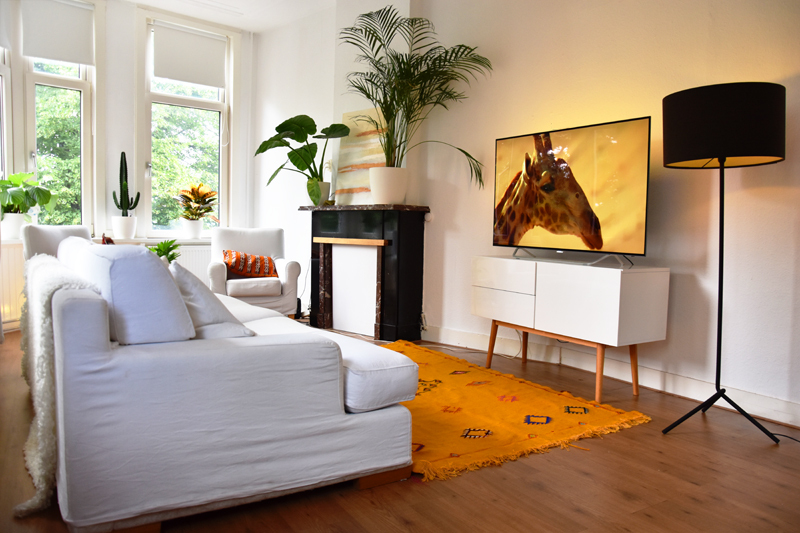 Philips 4K OLED tv is the next generation of TV technology. Unlike conventional LED TVs, OLED doesn’t need a backlight. Each pixel makes its own colour and light. When they are turned off, they are completely black. With such deeper blacks, you get enhanced colours and astonishing contrast that allow you to enjoy the purest, most lifelike image produced from a Philips TV yet. 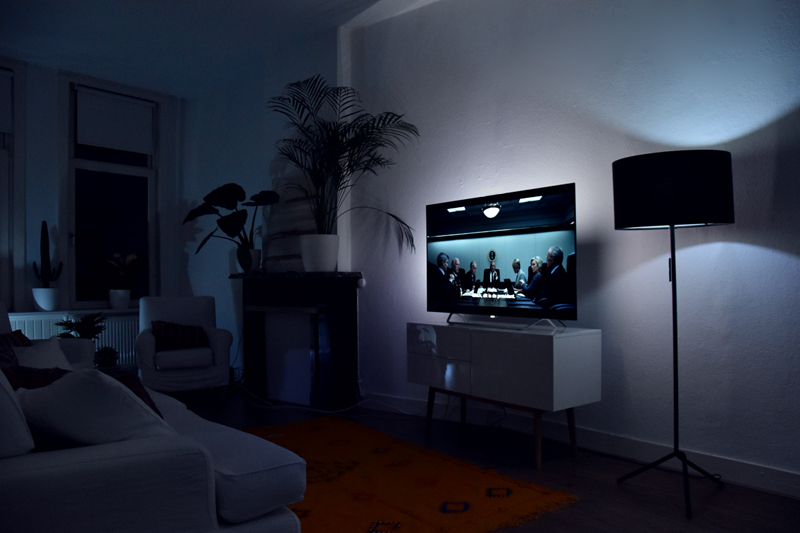 To create that extra in-depth experience I have also synchronized all my Philips hue lighting to the tv as well! You actually don’t need a surround system as they engineered sound in a slim design – the triple ring technology. When you can hear every whisper, step and creak in the floor, it doesn’t take much to imagine how powerfully clear every crash, bang and explosion sounds. And when it comes to bass, nothing has been compromised with strategically placed subwoofer for deep, rich tones. 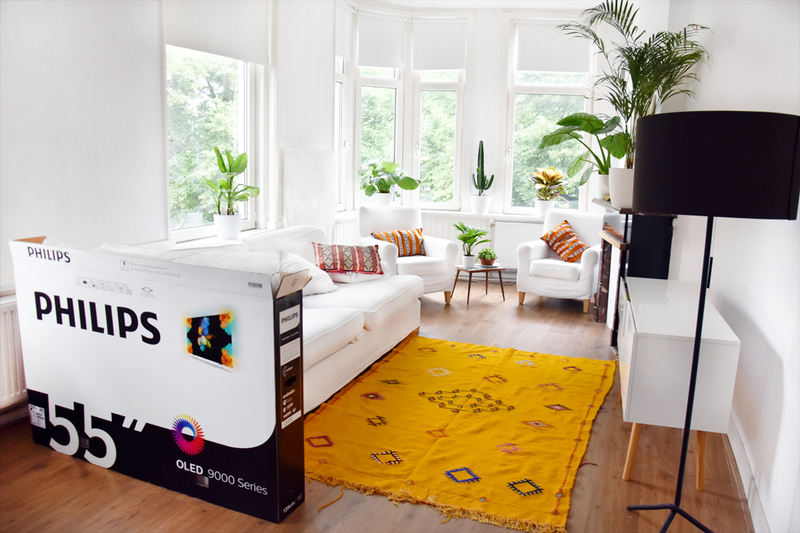 It’s a TV that sounds as good as it looks. I have to admit that the OLED TV is a real must have gadget to watch movies in your own home cinema!